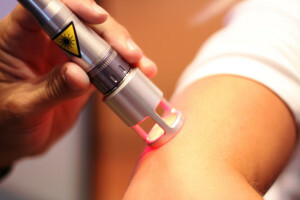 Laser Therapy, or “photobiomodulation”, is the use of specific wavelengths of light (red and near-infrared) to create therapeutic effects in the body. These effects include improved healing time, pain reduction, increased circulation and decreased swelling. Laser Therapy has been widely utilized in Europe by physical therapists, nurses and doctors as far back as the 1970’s. Now, after FDA clearance in 2002, Laser Therapy is being used extensively in the United States. The research demonstrated that injuries treated with laser therapy heal faster, have strengthened tissue repair, and improved blood flow & lymphatic drainage. Laser therapy can improve immune response, and is an effective means of relief for many pain syndromes. Does it hurt? What does a treatment feel like? There is little or no sensation during treatment. Occasionally one feels mild, soothing warmth or tingling. Areas of pain or inflammation may be sensitive briefly before pain reduction occurs. Are there any side effects or associated risks? During more than twenty years of use by healthcare providers all over the world, very few side effects have ever been reported. . Occasionally a patient will say that pain was slightly increased after a treatment, as the healing response is more active after treatment. Contrast that with the side effects of prescription drugs or surgery – laser therapy has an amazingly safe track record. How does the Laser work on the body? During Laser therapy, the infrared laser light interacts with tissues at the cellular level, and metabolic activity increases within the cell, improving the transport of nutrients across the cell membrane. This initiates the release of cellular energy (ATP) that leads to a cascade of beneficial effects, increasing cellular function and health. Can it be used in conjunction with other forms of treatment? Yes! 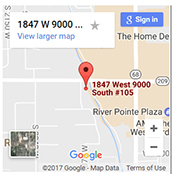 Laser Therapy is often used with other forms of therapy, including physical therapy, chiropractic adjustments, massage, soft tissue mobilization, electrotherapy and even following surgery. Other healing modalities are complementary and can be used with laser therapy to increase the effectiveness of the treatment.